I would love a mouse to entertain the cats. What an adorable gift card! 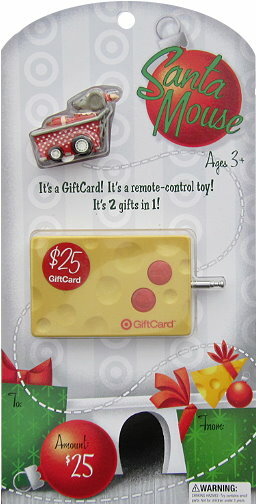 I have 2 December B days and a January Baby, would love the card to shop at Target for my kids/grand-kids !! Wow thanks so much this would be very useful this time of the yr !!!! I am a facebook of yours! I would love to win this! Merry Christmas!! I already like TT and have for quite some time. Would love to win a target gift card . I’m a follower on fb! Love your site! My mom would freak at this. How fun! I aready like you on FB! I would love to win a giftcard! Thank you for a nice giveaway! Just got home from Target…would love to win and go back for more! Super cute! Fingers crossed! Thanks! Your website is a great help for me and my family in terms of savings and getting good deals. Thanks for all you do Kerry!